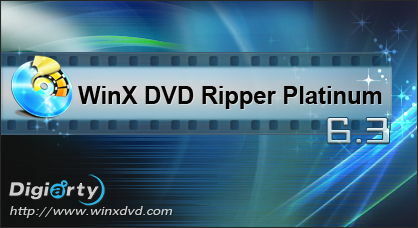 WinX DVD Ripper Platinum is a full DVD ripper to backup your DVD discs including copy protected DVDs. It would convert DVD disc, DVD Image or DVD folder to various videos formats. With WinX DVD Ripper Platinum, you could easily convert DVD videos to AVI, MP4, H.264, MPEG, WMV, FLV, MOV, Music, iPod, iPad, iPhone, Apple TV, PSP, 3GP, Zune and Zen videos, etc. It also allows you to just clone DVD disc to an ISO image. WinX DVD Ripper has advanced output profiles, you could change audio and video quality as your needs. This entry was posted in DVD & Blu-ray and tagged DVD Backup, dvd converter, dvd ripper, dvd to avi, dvd to ipad, dvd to iphone, dvd to mkv, dvd to mp4, dvd to mpeg, WinX. Bookmark the permalink.